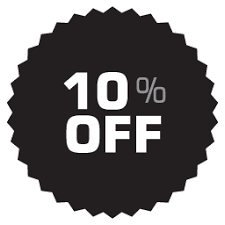 This Special Winter deal entitles you to 10% discount on any match day kit that can be used up to 12 months after date of purchase. Your £1.00 Purchase will also be refunded. 1. Cost of Discount is £1 that must be purchased before 31st March 2019. 2. £1 Deposit is deducted from kit purchase. 3. Kit must be purchased within 12 months of purchase date. 4. Match day kit is deemed as Match Day Shirt, Match Day Shorts, Match Day Socks, Goalkeeper Shirt, Goalkeeper shorts. 5. No Teamwear or accessories are included in this deal. 6. Kits can be of any colour, any design. Speak to our design team for more details. 8. No refund can be given on previous purchases. 9. One purchase per discount. Clubs with multiple teams would need to purchase multiple vouchers. 10. SWAZ reserve the right to withdraw this offer at any time.